HELLO LILLE, your next destination! The French touch at the crossroads of three major European capital cities: Brussels, Paris and London. Lille, capital of the Hauts-de-France region, is proud of its festive traditions and its gastronomy. Flemish, Burgundian and then Spanish before finally becoming French, Lille has an outstanding architectural wealth. A trading city since medieval times, a citadel under Louis XIV, a hive of industry during the 19th century and a city of ambition during the 20th century, Lille offers a blend of faces of the past and of the future. Lille Convention Bureau provides free information on the destination, communication with the best suppliers, preparing a full specifications book and, within the framework of an application, helps with the bid document, introductions to local authorities and organisation of site visits. Lille Grand Palais: Three auditoriums, 28 fully-equipped committee rooms from 20 to 4,500 persons and an exhibition area: 20,000sqm. Resort Barrière de Lille: Meeting rooms covering 9,700sqm and a modular theatre for up to 1,200 people. La Cité des Echanges: 3,000sqm, capable of hosting from 10 to 1,500 people. Stade Pierre Mauroy: More than 10,000sqm of reception areas for events and one auditorium of 230 seats. Les Halls de la Filature: 200 to 4,000sqm. Complexe Ascotel-MACC'S Lille Métropole: 1,100sqm and a 385-seater amphitheatre. 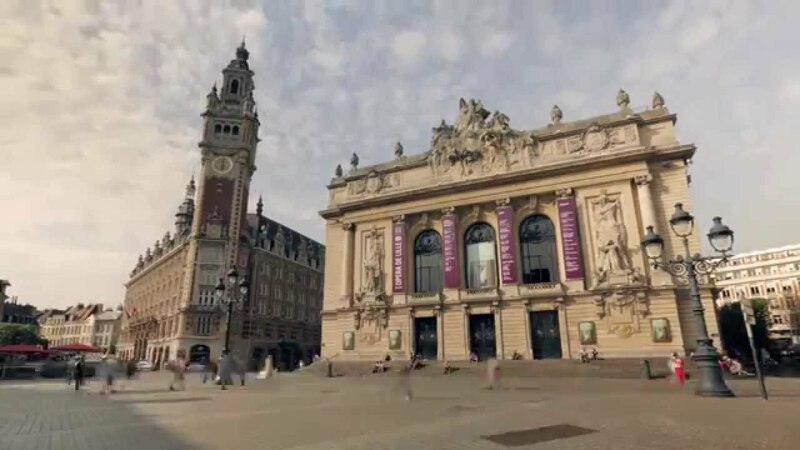 In the heart of Europe, Lille is situated 80 minutes from London, 60 minutes from Paris, 35 minutes from Brussels and 50 minutes from Charles de Gaulle Airport by direct TGV shuttle. By air, Lille International Airport, only ten minutes from the city centre, serves more than 70 international and domestic destinations and is just 50 minutes from Paris Charles de Gaulle. In terms of accommodation,the European Métropolis of Lille offers 8,500 bedrooms, 50 per cent located in 3,4 and 5-star hotels with well over half of them within walking distance of the Convention Centre, Lille Grand Palais. Lille has a genuine flair in the fields of innovation and culture: museums, painting exhibitions, festivals, the famous flea market in September and monuments certified by UNESCO’s Heritage list. Our valuable PCO and DMC members work creatively and passionately to design and organise programmes that cater to every taste.